Studying abroad in New Zealand can be a life changing experience for a student. It will enhance more skills, and moreover, a student can get a mass exposure which can help them in their future career. From the viewpoint of career aspect, many companies usually hire a recent graduate from a reputed foreign university. The reason being a brand new graduate will have fresh ideas. Now, why you need to study in New Zealand? If you follow the trend, you will notice that New Zealand has become the favorite destination for study abroad. The main reason for pursuing further study abroad opportunities in New Zealand is that the excellent program can help you to lean different courses in a very unique study tool. 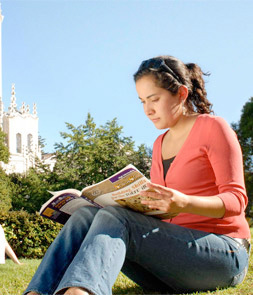 There is a lot to consider before you travel to New Zealand for study. Learn how we can give you support and advice every step of the way, from our friendly counsellors. We make sure you have all the support and assistance you need. The best thing about the education system is that the Colleges and Universities in New Zealand prefers the British based education system. Hence one can avail study Abroad Opportunities in New Zealand for those looking forward to international exposure.